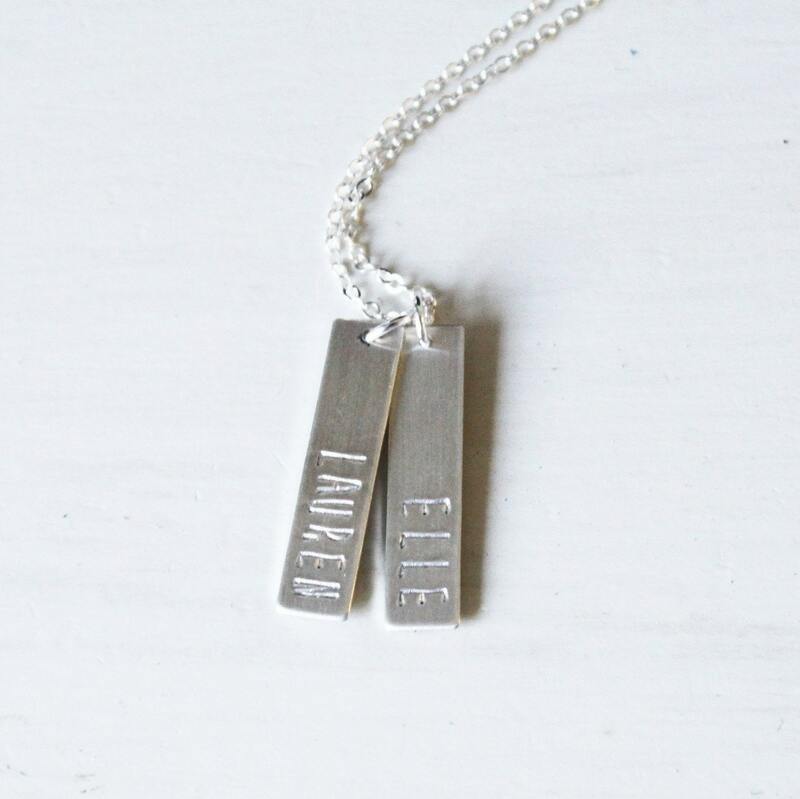 Classic and timeless our custom name bar necklace is available in Silver, Rose or Gold. 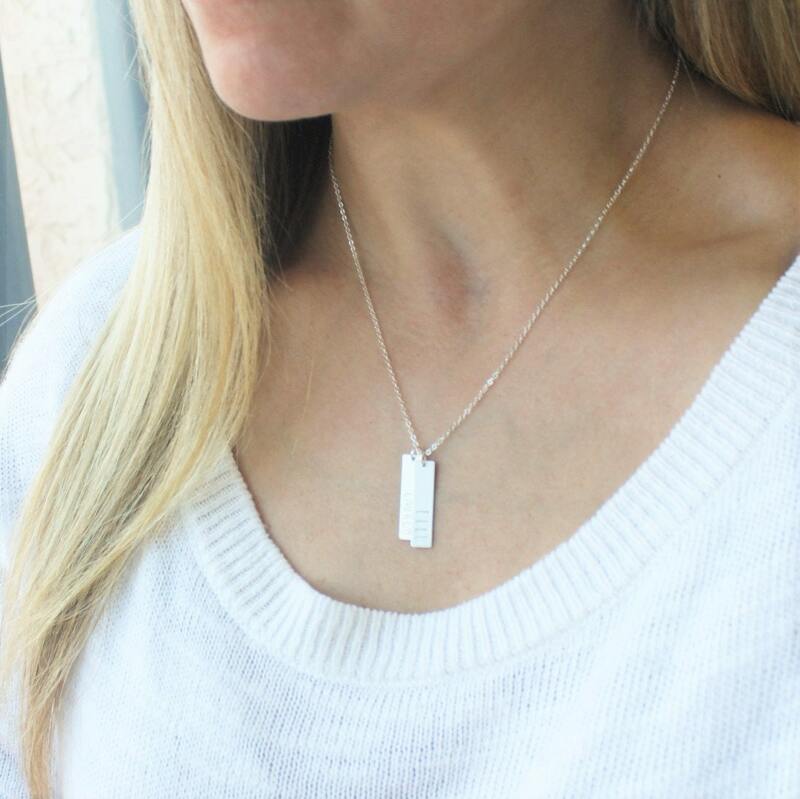 Choose up to three bars for your necklace. 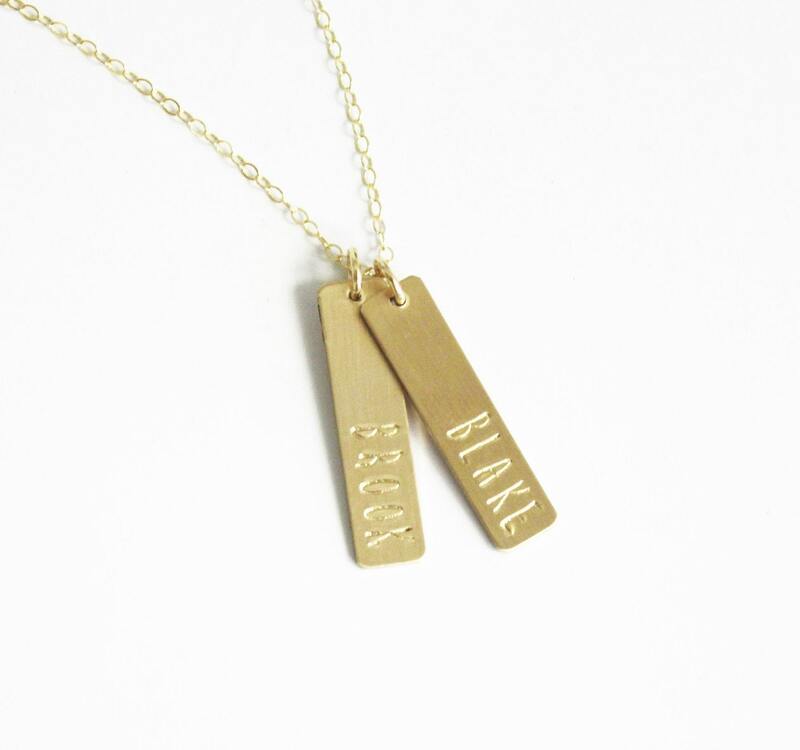 Personalize this with names, dates or roman numerals for yourself or as a special gift. 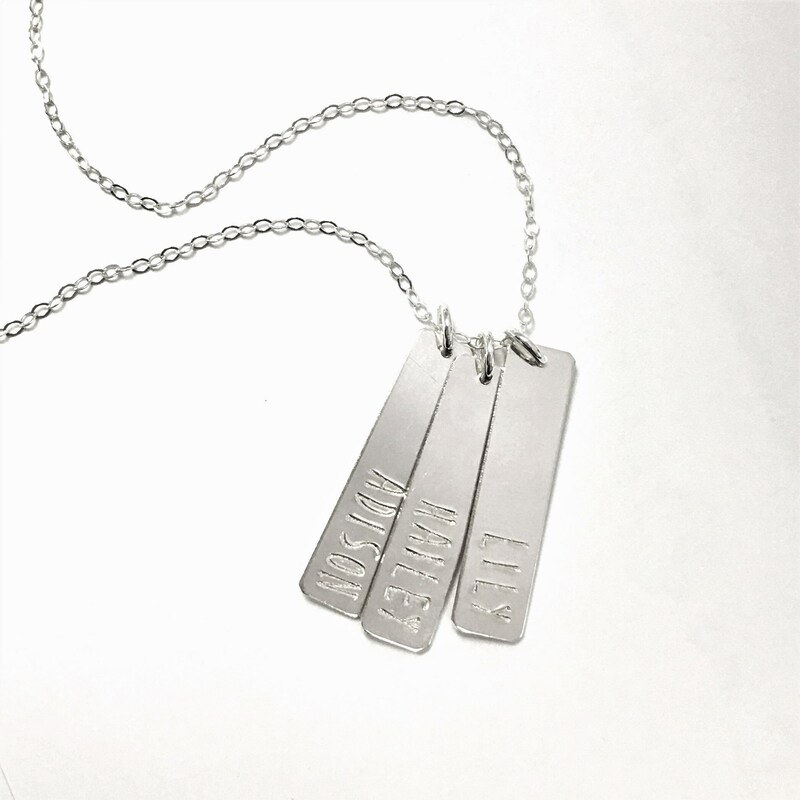 -Bar and chain are 14kt Gold-Filled, Sterling Silver, or Rose Gold-Filled. -Polished to a light satin finish. - Model is wearing 18" in Photo 2. Crafted with hand & heart just for you in the desert of our Arizona studio. Gold filled jewelry is beautiful long lasting material, it is very durable and will not chip or turn colors. With proper care it can last many years. 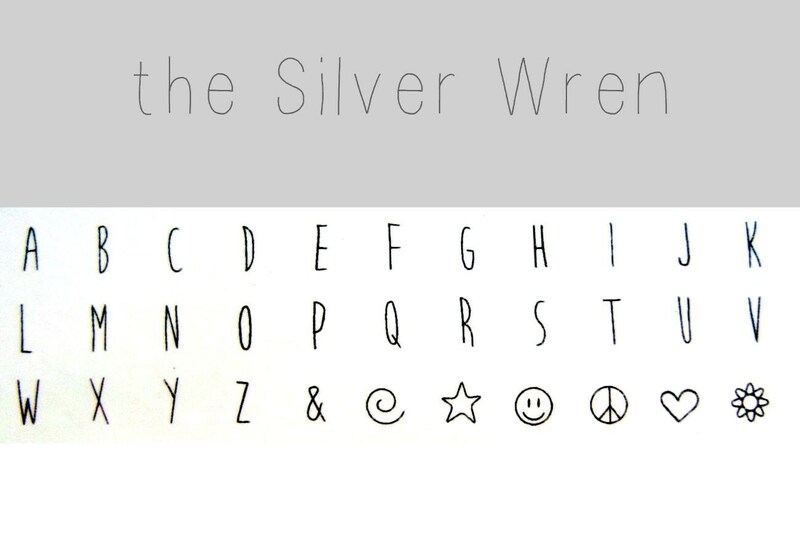 2nd time ordering from The Silver Wren, and I love my personalized sterling silver necklace. Thank you!